As ITV celebrates its 50th anniversary, the broadcaster continues to attract criticism as well as praise. Producers, entertainers and critics share their view on the channel's past and future. 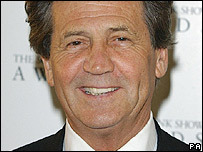 "Nobody could make another Jewel in the Crown like ITV did"
"It is lagging behind on its nature programming"
"When ITV does appeal, it appeals hugely"
"There seems to be less fun and variety on ITV now"
"Working for ITV was a great experience"
"I still love ITV with a passion"
Lord Bragg has edited and presented the South Bank Show for the past 26 years. He is also Granada's controller of arts and features. ITV is in extremely robust shape financially. Good money is still being dedicated to television despite the grumbles of producers about budgets, which are the same grumbles we have always had. Granada has the likes of Coronation Street, Prime Suspect and Ant and Dec. That's a big hand to have. There have been a few own goals like the departure of Richard and Judy and the failure of ITV Digital. But ITV is still unique as a commercial broadcaster of great success and as a public service broadcaster of distinction. It is the only credible competitor to the BBC. If ITV goes splat, then the BBC will get constipated. Of course, ITV is going to go through rough patches. There were times at LWT when we were too afraid to look at weekend ratings. ITV will bounce back. We have some of the best cards in the British TV pack. 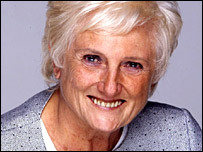 Beryl Vertue OBE has produced a raft of hit comedy series including Men Behaving Badly and is executive producer of new BBC series Carrie and Barry and Supernova. I watch ITV a lot, both as a viewer and a producer. Its dramas have always been kept up to a high standard, although it has been through a recent period when that standard was not quite so high. Nevertheless, moving the News at Ten has proved advantageous to ITV because it has enabled viewers to get stuck into a two-hour or 90-minute drama in the evening. I have not made many comedy series with ITV, mainly because I do not know where it would schedule them. People do not know what comedy to expect on ITV because mostly they do not expect any. ITV's approach to comedy has become a bit scattergun. Watching the vintage clips shown for the channel's 50th anniversary, it struck me that there seems to be less fun and variety on ITV now. They used to do a lot of variety entertainment, and it has the audience for it - but reality television has come on in such a big way, it seems to fill the schedules. Some reality shows are wonderful and some are hideous - ITV has had its fair share of both. ITV knows its audience well as far as drama is concerned, but when it comes to other types of programming, it no longer seems as turned on as it used to be. 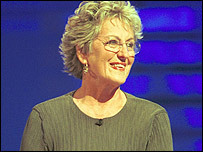 Feminist author Germaine Greer delivered the Alternative MacTaggart lecture at this year's Edinburgh TV Festival. I barely watch ITV now, although my friends in Australia stay in to watch every episode of The Bill. The only thing I watch regularly on ITV is GMTV, although when Kate Garraway returns I will stop watching it altogether. ITV is lagging behind on its nature programming - they do so little of it. They should do their own version of [BBC series] Nature Watch with proper real-time cameras so I can just check what is going on with the wildlife throughout the day. At the moment, the channels all seem to end up making the same programme. I would like to see ITV make a gardening programme that is actually about the biodiversity of the garden. They could explain why it is ridiculous for these shows to cover a garden all over with American treated redwood and stick a drinks table on top of it. 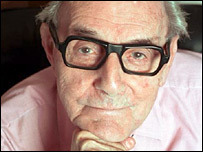 Comedian Eric Sykes made a series of specials for ITV from the 1950s onwards, including his remake of The Plank in 1979. Working for ITV was a great experience. The first time I went there, I was working for Philip Jones, the head of light entertainment. When I had anything I wanted to do, I used to go into his office. Philip would stand there listening and jangling his change in his pockets. He was a lovely man. Philip would say 'Fine. When would you like to do it?' I would say as soon as possible. He'd say 'A producer will come to see you.' If I had been at the BBC, I would have had to fill in 20 pieces of paper. I wanted to do my sitcom Sykes with Hattie Jacques for the BBC because they couldn't put commercials in. My philosophy was if the viewers didn't like the comedy, they would still want to see how the story ended. I liked doing sketch shows for ITV because commercial breaks were natural breaks for sketches. It was horses for courses. 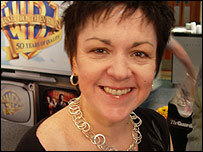 Kathryn Flett is The Observer newspaper's television critic and wrote the 1999 book The Heart-Shaped Bullet. I do not watch a huge amount of ITV, but that's probably due to the demographic of my readers. Having said that, I'm a complete I'm a Celebrity... Get Me Out of Here! addict. ITV do the big reality show stuff very well. I also think they have the two-part Monday and Tuesday night drama down to pat. A lot of them can be a bit predictable but every so often they pull a goodie out of the bag. Like a lot of middle class families, I was not allowed to watch ITV as a kid - the channel was regarded as a bit of a downmarket alternative. I am sure something of that attitude remains with people today. Magpie was seen by my parents as a revolting version of Blue Peter, for example. Tiswas was also something I missed. As a result, there was a whole swathe of things that happened on ITV that I missed out on. It was unfair to be denied a lot of the good stuff. I have more of a relationship with BBC or Channel 4 than ITV - the kind of stuff I enjoy I find elsewhere, that's all. But that's not to say ITV should start making the same shows as other channels. When ITV does appeal, it appeals hugely. 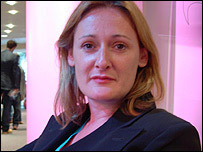 Columnist Jaci Stephen is a TV critic for the Mail on Sunday newspaper. I still love ITV with a passion - it always comes up as my favourite channel on my personal TV guide. But its biggest problem at the moment is drama. It has been the same old drama for years and years. They are all either set in hospital or they star Caroline Quentin, or both. And if I see another woman with her knickers around her head, battered and bruised, I will scream. ITV does not take risks any more - it's too heavily dependent on the celebrity shows. The bravery of something like Cracker no longer seems to be there. I don't think they are bringing in enough new people - new writers seem to go to the BBC first. ITV's comedy is dreadful - there seems to be no investment in comedy at all. The cable stations are really stealing what were ITV's strengths. I go more to Five for drama now, namely CSI, and for comedy I go to Paramount. Having said all that, Emmerdale has done a remarkable job on ITV. To build steadily over the years and increase its audience share, beating EastEnders in the process, is a real achievement.